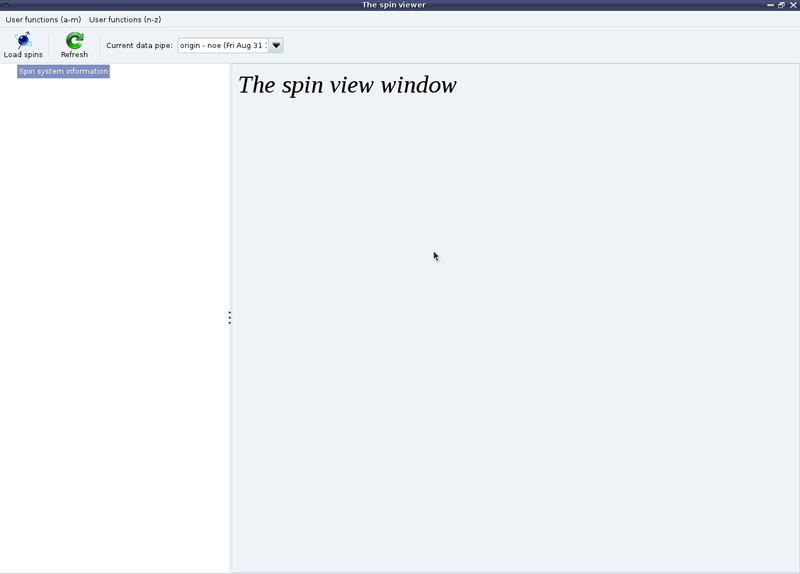 The “Spin editor” button part of the “Spin systems” GUI element in the specific analysis tabs. 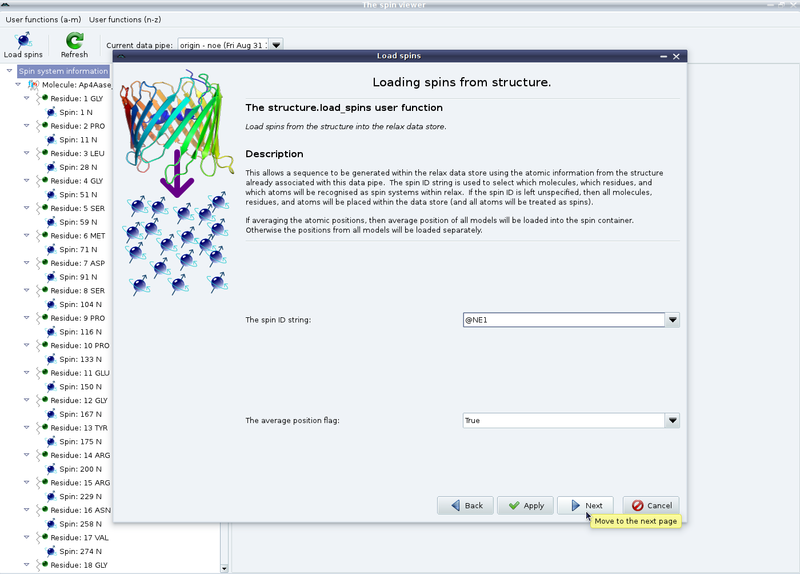 This is a bit more complicated. 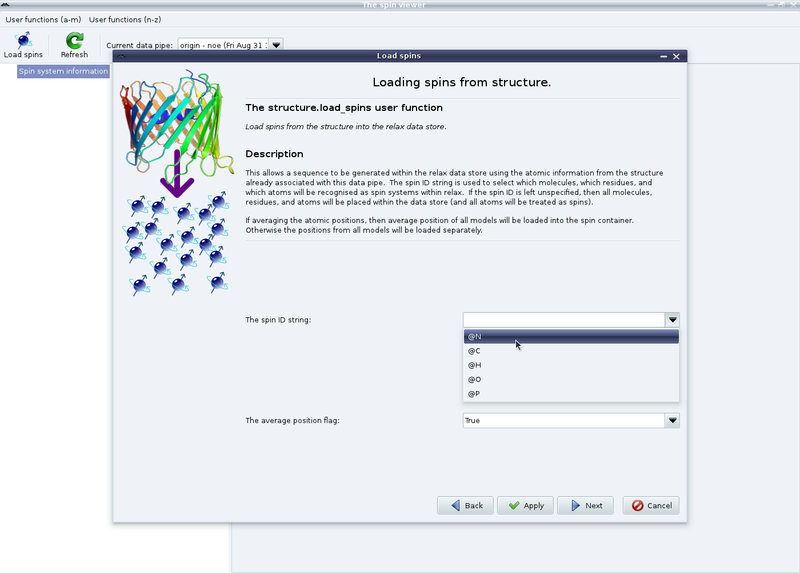 In this example we are studying the backbone dynamics of 15N spins of a protein. 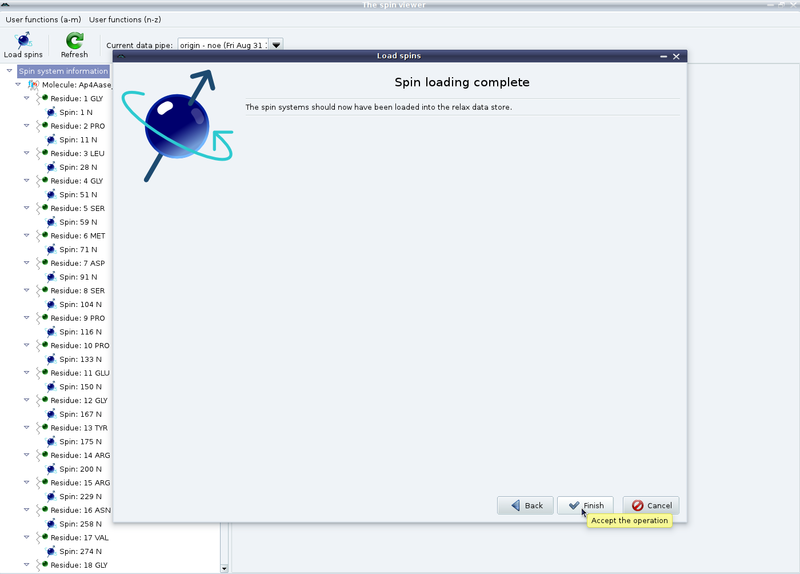 Therefore first set the spin ID string to “@N” (which can be selected from the pull down) and click on “Apply” to set up the backbone spins. Do not click on “Next” yet. 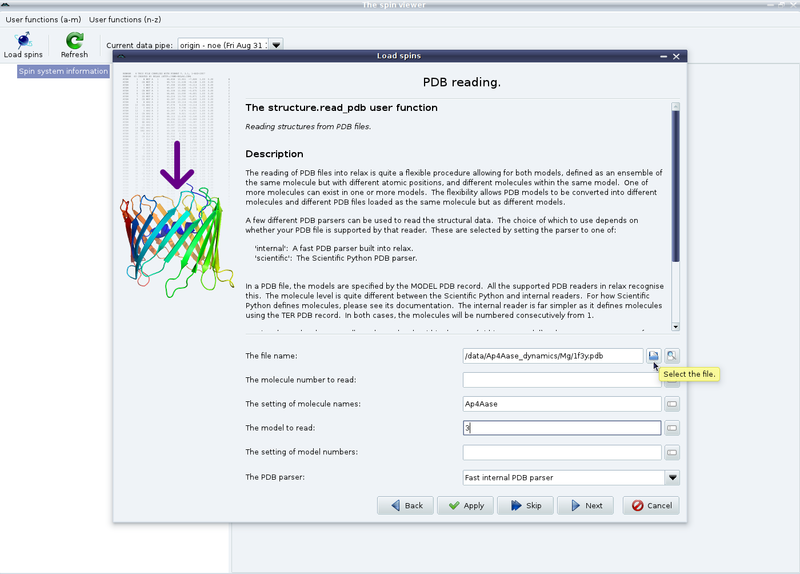 If the current study requires the specification of the dipole-dipole interaction (for example if it involves relaxation data - model-free analyses, consistency testing, reduced spectral density mapping; or the dipolar coupling - the N-state model or ensemble analyses, the Frame Order theory) you will also need to load the 1H spins as well. 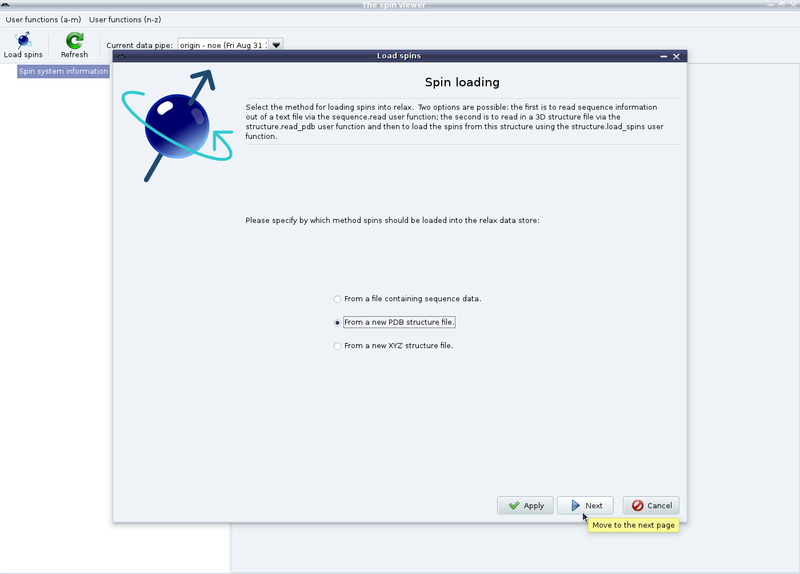 Therefore set the spin ID string to “@H” and click on “Apply” again. 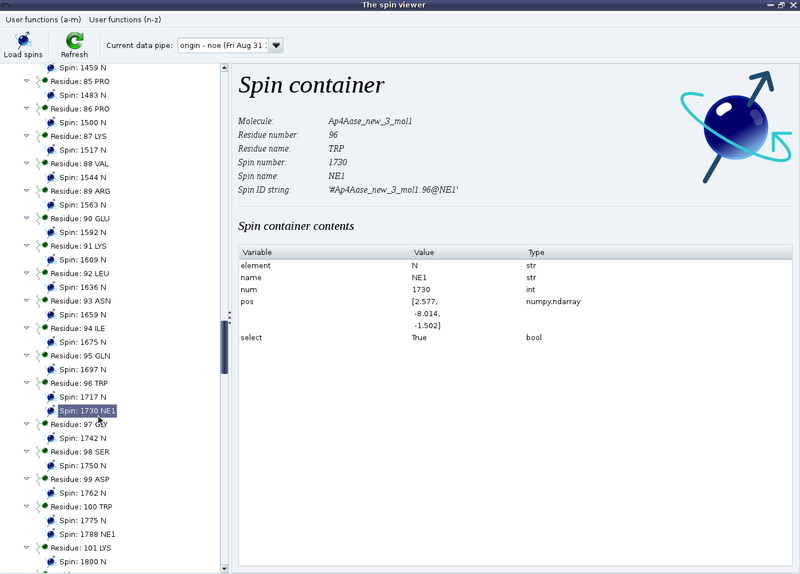 If the 1H spins have been loaded as well, then you should see exactly twice as many spin containers as shown above.